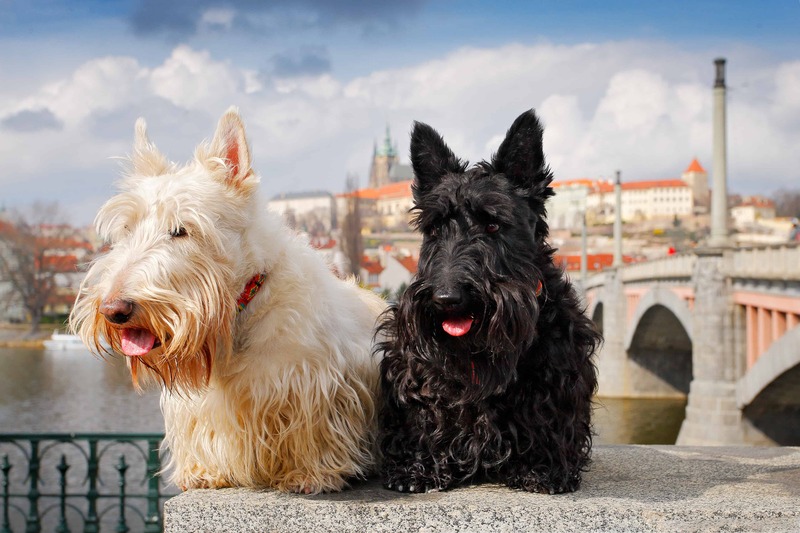 The Scottish Terrier is a sturdy and small breed of dogs that contains fiercely independent attitude. 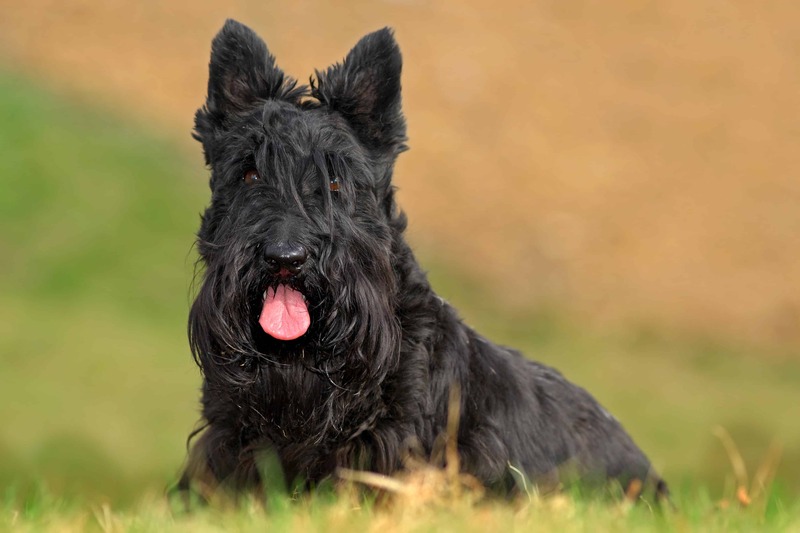 In the same time, he is high-spirited, playful and determined because he is developed by Highland Terriers hundreds of years ago. There are some examples where they can have white coats, but it is not so common. 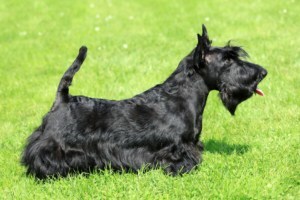 The Scottish terrier was developed in order to hunt smaller animals, which means that he is a determined and alert dog. He is perfect for watching because he has a tendency to bark at strangers and present braver in presence of larger dogs. 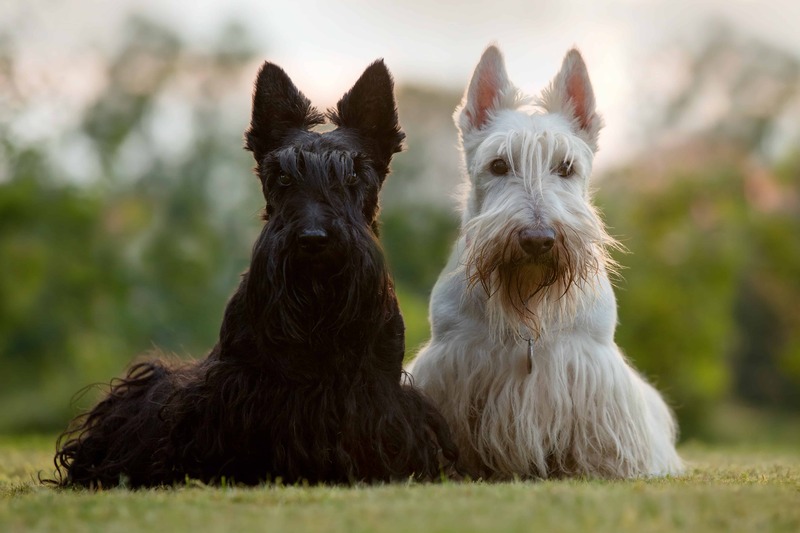 They originate from Scottish Highlands, among breeds such as West Highland, Skye, and cairn. It is not possible to determine when they were developed, but experts are certain that they date two maybe three hundred years. 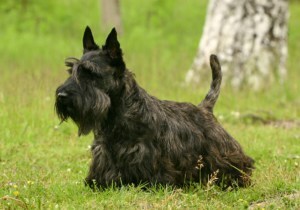 He was developed in order to go to ground for small animals in Scottish Highlands. 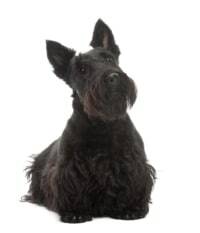 The breed was employed in order to kill and hunt all small animal and vermin such as rats, otters, foxes, badgers and wild cats. 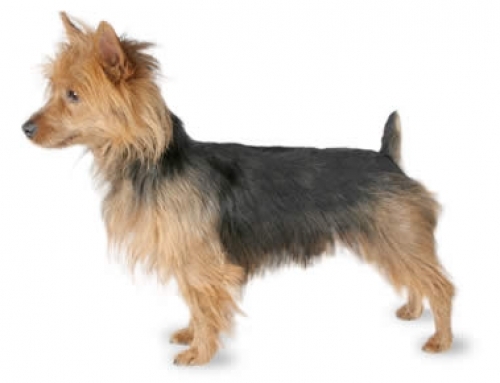 They are highly independent dogs that were bred in order to hunt alone and without instructions. That is the main reason why it is so difficult to train them. 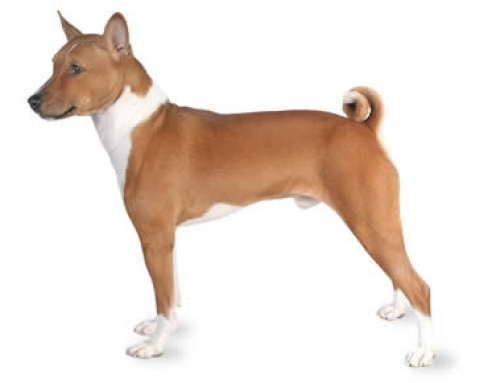 However, some owners succeeded in doing it but you have been very consistent because they are intelligent but head strong. 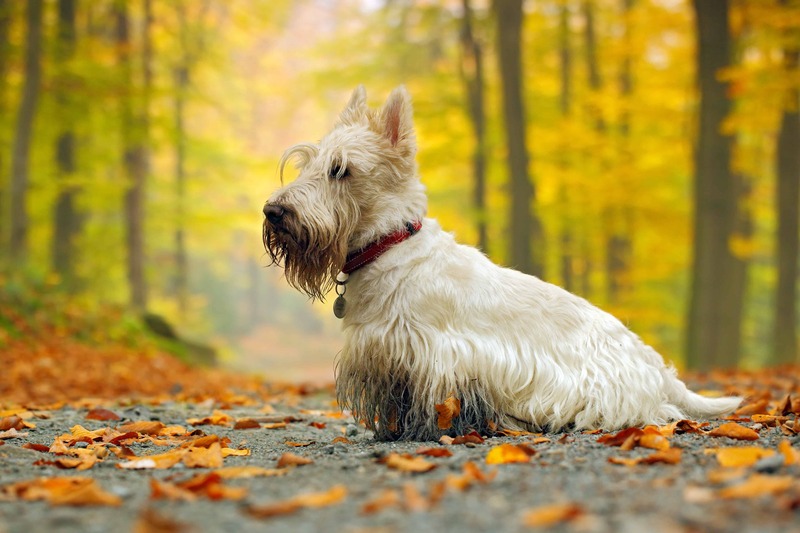 As other hunting breeds, they also need a determined and strong master who will position himself as pack leader. It is essential to dominate in order to prevent any dangerous moment. They are good with children, but they have boundaries where patience is not relevant anymore. 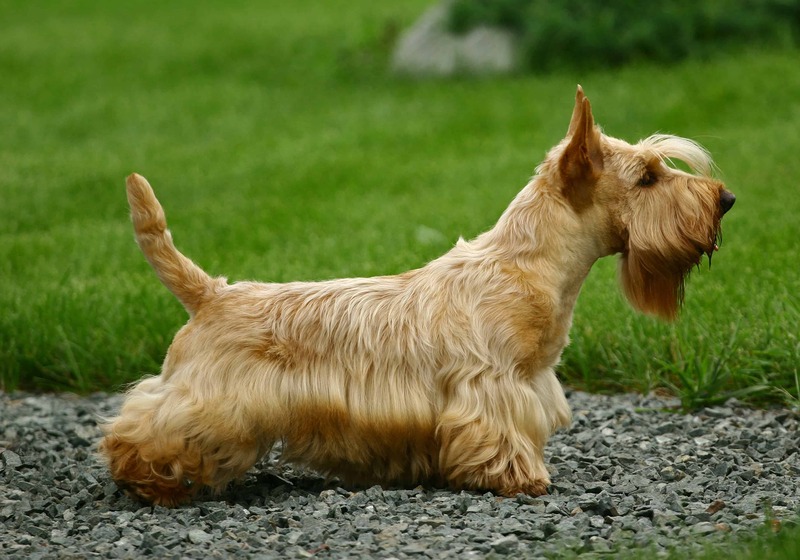 They are prone to nipping and yapping, especially if proved by a child. They need space which is far important to consider. Patellar Luxation – This is the most common condition that can affect Scottish Terriers and other smaller breeds. 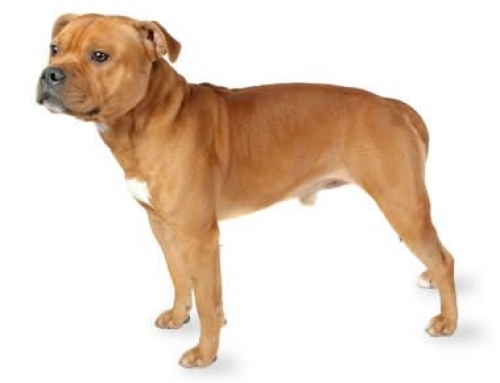 It causes dislocation of the kneecap and you have to visit a vet as soon as possible. 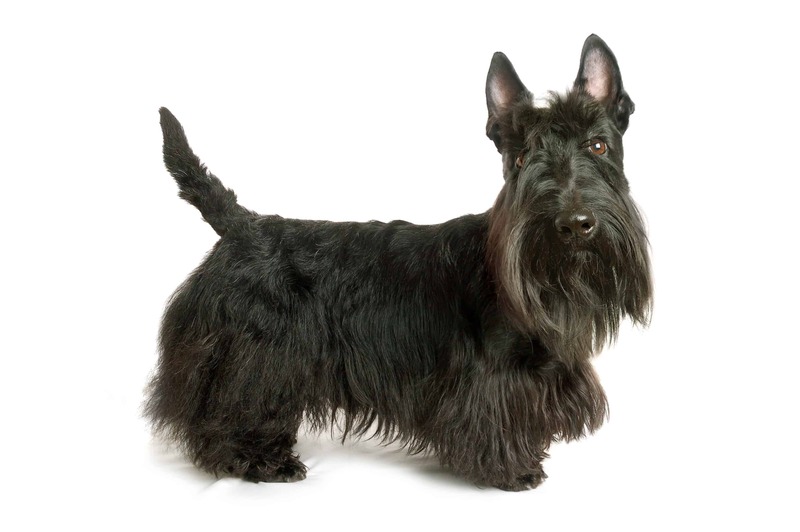 Quote, a Scottish Terriers pet cover with us and you will be able to enjoy with family and this amazing dog.